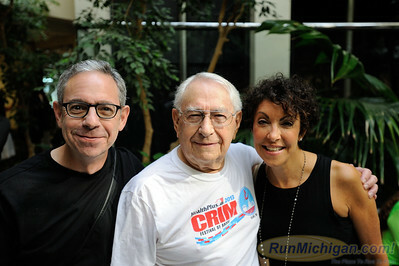 Ninety one year-old Harry Binder with family members at the 2015 HealthPlus Crim Festival of Races Pre-Race Press Event on August 19. 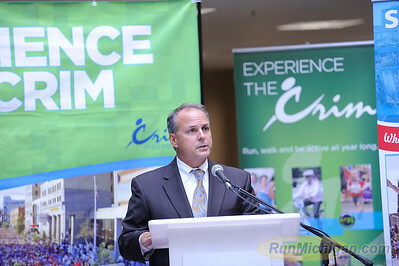 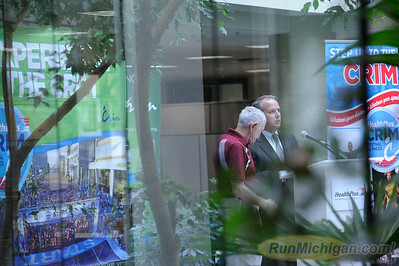 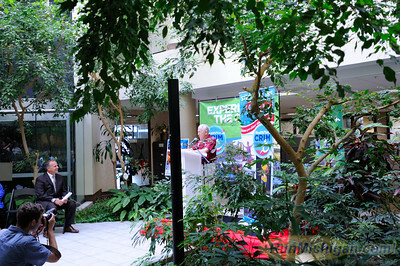 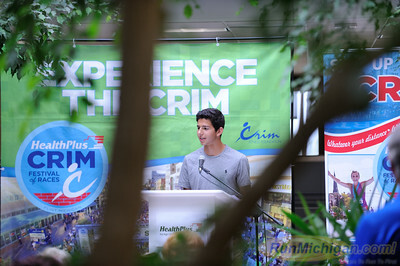 HealthPlus of Michigan CEO Dr. Michael Genord speaks at the 2015 HealthPlus Crim Festival of Races Pre-Race Press Event on August 19. 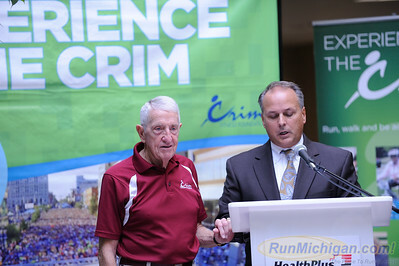 Crim race co-founder Bobby Crim (left) is honored by HealthPlus of Michigan CEO Dr. Michael Genord at the 2015 HealthPlus Crim Festival of Races Pre-Race Press Event on August 19. 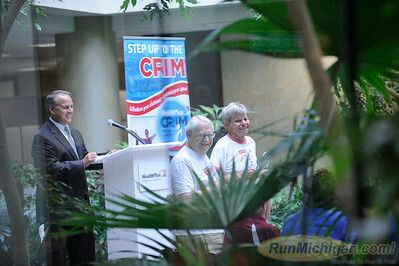 HealthPlus of Michigan CEO Dr. Michael Genord poses with long-time Crim runners Darrel McKee (second from right), Harry Binder (second from left) and Bobby Crim (left) at the 2015 HealthPlus Crim Festival of Races Pre-Race Press Event on August 19. 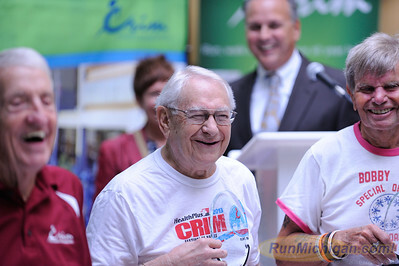 Bobby Crim (left), Harry Binder (center) and Darrel McKee share a laugh at the 2015 HealthPlus Crim Festival of Races Pre-Race Press Event on August 19. 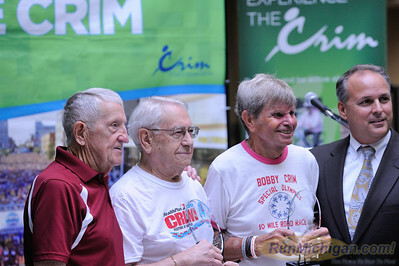 Harry Binder (front left) and Darrell McKee (front right) are honored at the 2015 HealthPlus Crim Festival of Races Pre-Race Press Event on August 19. 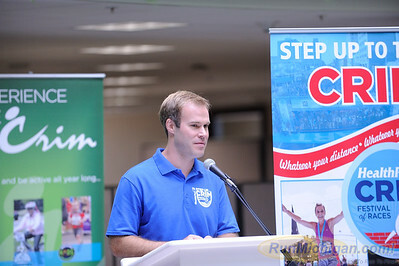 HealthPlus Crim Festival of Races Race Director Andrew Younger speaks at the 2015 Pre-Race Press Event on August 19. 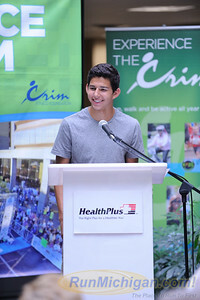 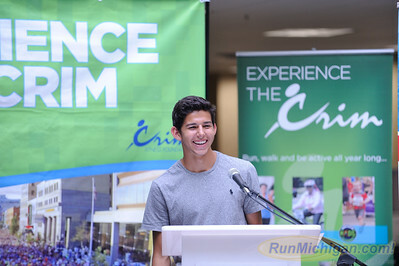 Recent Grand Blanc High School graduate and multiple time Michigan and national track and cross country champion Grant Fisher talks at the 2015 HealthPlus Crim Festival of Races Pre-Race Press Event on August 19. 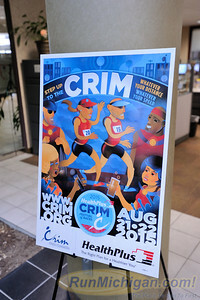 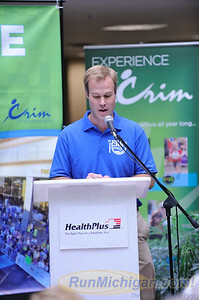 Crim 10 Mile race co-founder talks at the 2015 HealthPlus Crim Festival of Races Pre-Race Press Event on August 19. 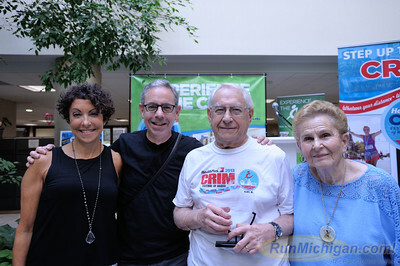 Long-time Crim runner Harry Binder (second from right) poses with family members at the 2015 HealthPlus Crim Festival of Races Pre-Race Press Event on August 19.